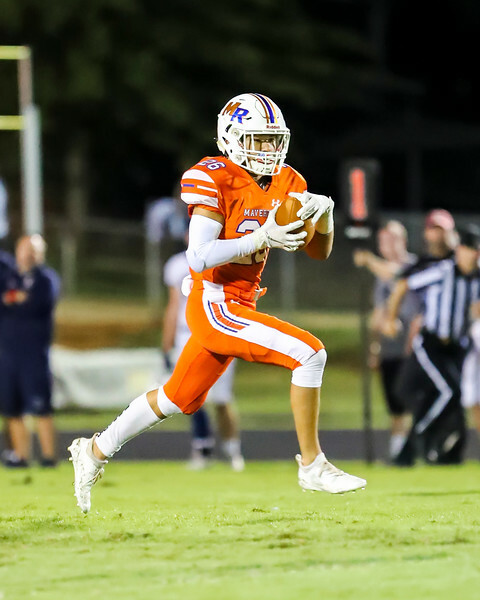 Week 9 Player of the Week is Marvin Ridge's Ian Hutter. Ian helped lead the Marvin Ridge Mavericks to a 38-0 win over Cuthbertson. Hutter, a sophomore WR had eight catches for 195 yards and a TD. Hutter's TD catch was for 66 yards. Hutter's 208 receiving yards puts Ian 15th all-time in the Union Co. record book. The Mavericks are now 6-2 and 3-1 in the SCC. Congrats Ian!